Do you shop online? Do it through easyfundraising.org.uk and raise a free donation for BID every time you shop! 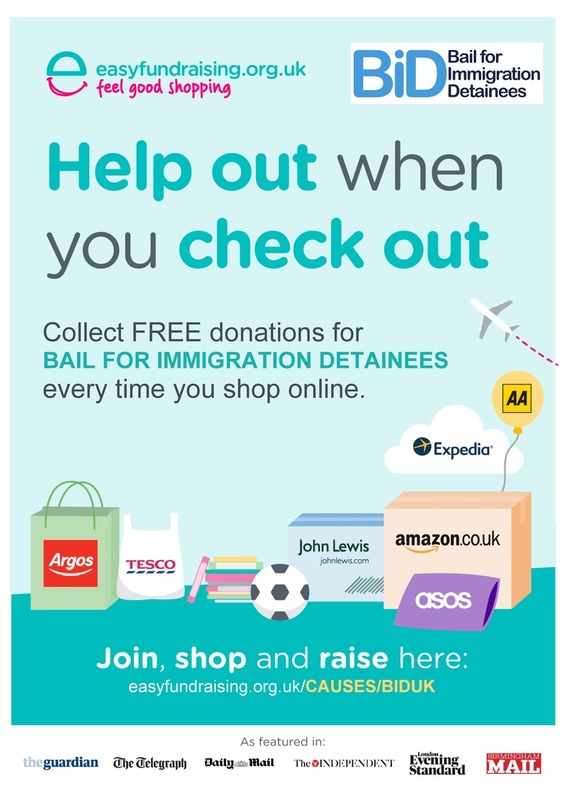 Did you know that whenever you buy anything online - from your weekly shop to your annual holiday - you could be collecting free donations for Bail for Immigration Detainees? Head to https://www.easyfundraising.org.uk/causes/biduk/ and join for free.